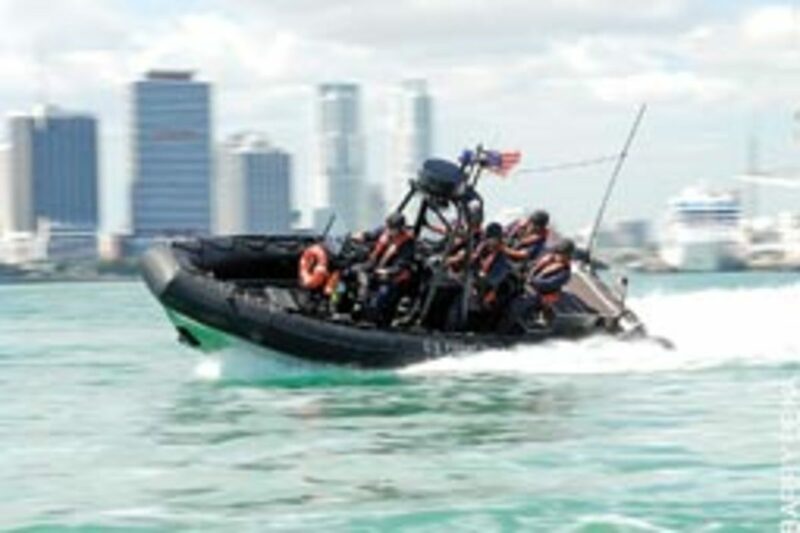 A Coast Guard Maritime Safety and Security Team conducts high-speed maneuvers during a security patrol south of the Port of Miami. This photo won second place in the Public Affairs Specialist category of the 2009 Coast Guard Photo Contest. Watch a slideshow of all the contest winners in an upcoming issue of Dispatches, Soundings&apos; free e-newsletter. Sign up at SoundingsOnline.com. A Coast Guard aircrew transported an injured crewman to shore from a vessel about 200 nautical miles off the coast of Cape Cod. 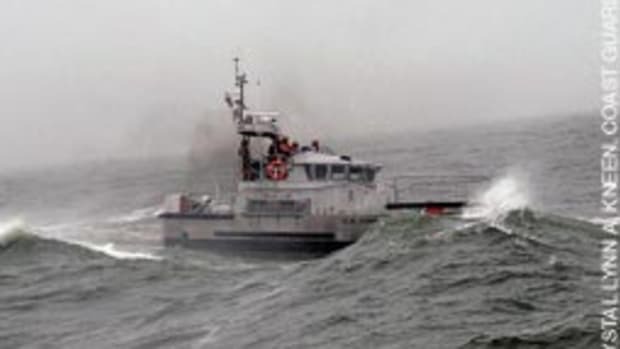 The Fifth Coast Guard District in Portsmouth, Va., received an e-mail from the crew of the 515-foot vessel Dijksgracht around 10:45 a.m. requesting assistance for a crewman who sustained a leg injury from a fall earlier that morning. 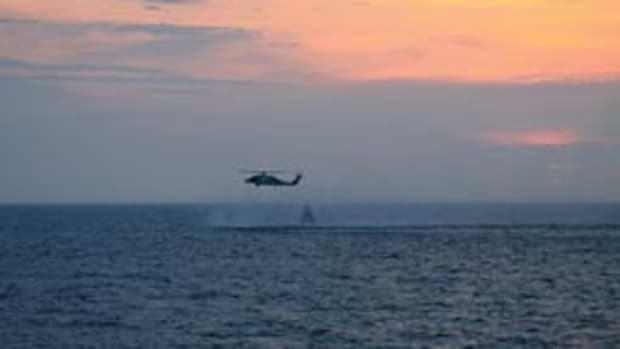 The vessel, which was on its way to Texas from New York, turned toward Cape Cod after the accident to meet a Coast Guard rescue crew closer to shore. The Dijksgracht crew traveled through 25-foot seas and 40- to 45-knot winds to get close enough to Cape Cod for the rescue. The First Coast Guard District in Boston dispatched an HU-25 Falcon Jet crew and an HH-60 Jayhawk helicopter crew from Coast Guard Air Station Cape Cod to hoist the 25-year-old crewman from the boat. Coast Guard rescue crews and partner agencies were searching for a missing mariner near Bois Bubert Island in Stueben, Maine. The Maine Marine Patrol notified the Coast Guard around 11:30 a.m. about a capsized 12- to 16-foot skiff and debris field near the island. The Maine Marine patrol recovered one body, but a second individual was still missing. 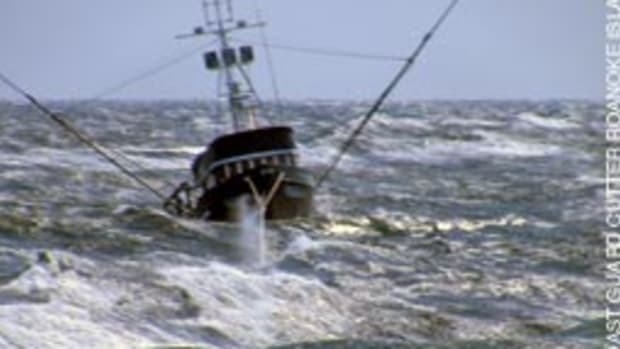 The water temperature at the time was 41 degrees F with winds up to 11 miles per hour and swells around 2 feet. Personnel at Coast Guard Station Point Judith, R.I., were able to avoid searching for a person in the water because a kayak owner had labeled his life jacket with contact information. The Station Point Judith crew received a report about 8:30 a.m. of an overturned 15-foot boat surrounded by a debris field near Point Judith. 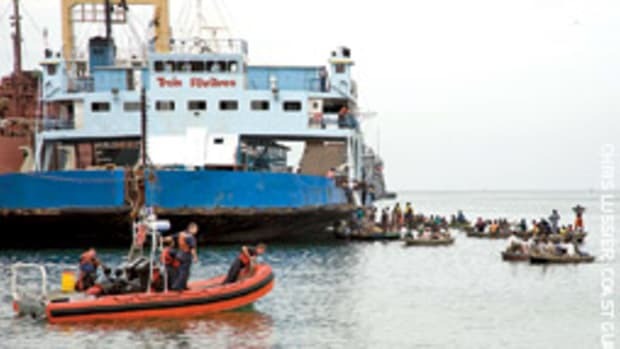 Fearing someone was in distress, the station launched a boat crew to begin searching the area. 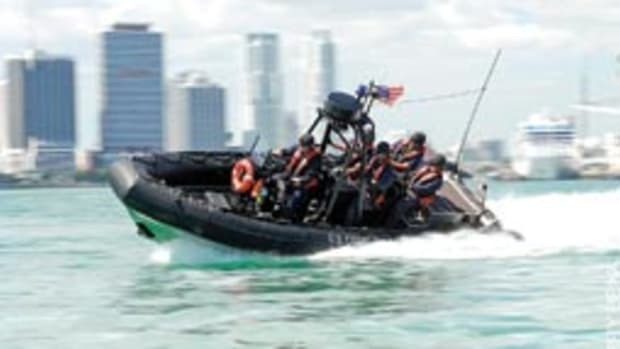 Three men pled guilty March 8 to making false distress calls to the United States Coast Guard. 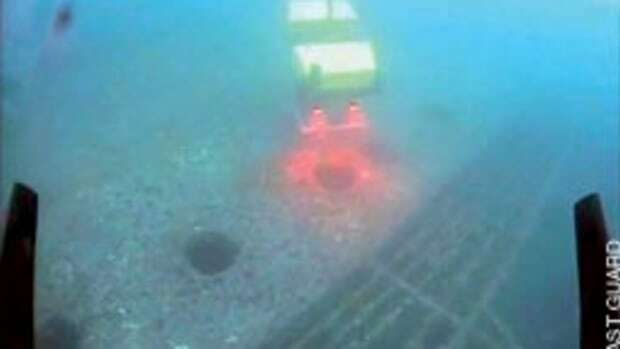 On Oct. 18, 2008, the Coast Guard received a false distress call from the Holly Ridge, N.C., high site antenna. One man repeated "Mayday, mayday." 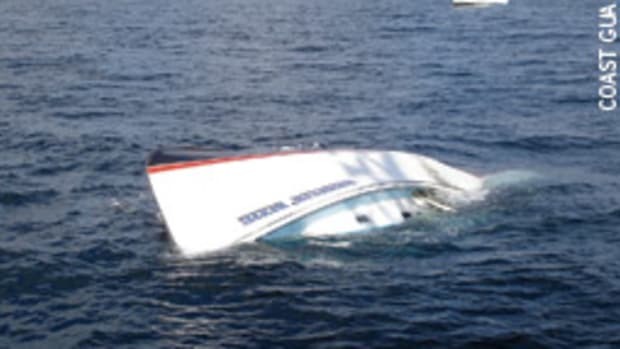 The Coast Guard responded, asking for the nature of the distress and the man reported that his vessel was taking on water. He claimed he was attached to a buoy, with six people on board, and asked the Coast Guard for assistance. The man continued, saying "Mayday, mayday, mayday." He then adopted a Spanish accent. When the Coast Guard responder realized it was a hoax, he advised the callers that it was unlawful to make a false distress call and advised the caller of the penalties. The man responded with repeated profanities. The investigation found that the men had been drinking when the false calls were made. Further investigation revealed that in October 2007 two of the men had also made a false distress call. It was also alleged that one of the men had made at least 22 false distress calls.